New Episode “Travolta” will be aired on Saturday, May 19 at 04:30 P.M. Athletic dunks. Last second shots. And a major upset. Three things that make basketball absolutely irresistible. Each one is featured in this episode of Temple Basketball: Above the Rim. Follow the Temple Owls as they wrap up a difficult non-conference stretch with its biggest game of the year against #5 Duke at the Wells Fargo Center in South Philadelphia. TUTV’s weekly sports show covering Temple University’s intercollegiate athletic programs. 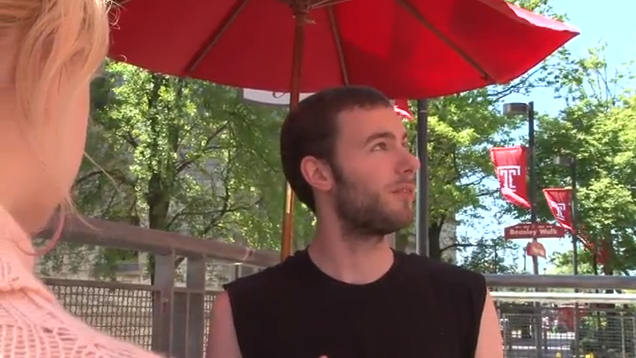 Anchored, produced, filmed and edited by volunteer students of Temple University. Join Daniel Snyder, Jonathan Donnelly, Nick Gomberg, and Matthew Wallace as they debate the latest sporting events on TUTV’s sports talk show. Temple’s Women’s Basketball team has created a tradition of winning over the last decade. The team’s streak of eight straight years of NCAA tournament appearances is in question this season, following a tough start to the 2011-2012 year. Go behind the scenes to find out how the Owls are trying to overcome a difficult start to get back to the top of the Atlantic 10 Conference. Temple University’s student-produced news program brings you the latest news and events happening on and around campus. It’s a new season and new beginning for Temple University’s men’s basketball team – a team that has found itself competing in the NCAA tournament each of the last four years – under head coach Fran Dunphy. Go “Above the Rim” with this year’s team through it’s season opener against Big 5 rival Penn, and it’s week long trip to beautiful, historic San Juan, Puerto Rico for the 5 Hour Energy Puerto Rico Tip-Off. Join coach Mike Armstrong for a cutting edge fitness program that focuses on the individual’s athletic ability by integrating various forms of exercise to achieve optimal physical performance. Thanksgiving, a time of year when friends & family gather to enjoy good food and each others company. A time rich with traditions, from parades and football to shopping and movies. TUTV would like to hear some of your favorite Thanksgiving Day traditions and memories. Fill out the comments section below. Episode 6 of “Temple TUFF: Behind the Scenes with Temple Football” takes an in-depth look at Temple’s growing rivalry with MAC powerhouse Ohio University, and its thrilling game against the Bobcats. The Owls then return home to play for its MAC Championship life against the Miami (OH) Redhawks. The final regular season episode features a “mic’d up” segment with linebacker coach Sean McGowan, and profiles Senior DE Morkeith Brown, who came to Temple after four years of service in the United States Army. Episode 5 of “Temple TUFF: Behind the Scenes with Temple Football” takes an in-depth look at Temple’s homecoming game against Buffalo, its road MAC test against Bowling Green State University, and profiles senior linebacker Stephen Johnson and the nation’s touchdown leader, running back Bernard Pierce. Follow head coach Steve Addazio and the 4 and 2 Owls’ quest for the MAC Championship. 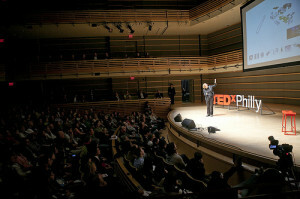 TEDxPhilly is a unique, one-day multi-disciplinary conference, which examines the vast interpretations of the theme: The City. Engaging speakers, impassioned performers, all star participants and awe-inspiring exhibitors will converge to deconstruct, decipher and explore some of the greatest challenges, innovations, concepts and realities that shape and are shaped by the city and its inhabitants. The TED Conference provides general guidance for the TEDx program, but TEDx events are self-organized. At TEDxPhilly, TEDTalks video and live speakers will combine to spark deep discussion and connection in a small group. Visit www.tedxphilly.com for more informaion. Temple University’s Annenberg Hall – TV Studio Two. Episode 4 of “Temple TUFF: Behind the Scenes with Temple Football” takes an in-depth look at everything Temple football, from Bernard Pierce’s record breaking touchdown to the team’s dominating win over Ball State. Senior TE Evan Rodriguez is profiled and Coach Matt Rhule is mic’d up during practice. 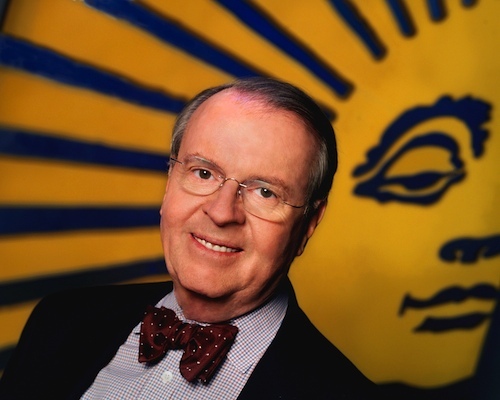 Following the 2011 Lew Klein Alumni in the Media Awards, Charles Osgood, anchor of CBS News’ Sunday Morning, will provide a talk in the Annenberg Hall. Both programs will air on TUTV at a later date. Charles Osgood has been the anchor of CBS News’ Sunday Morning since 1994. Often referred to as CBS News’ poet-in-residence, Charles Osgood has been the anchor of CBS News’ Sunday Morning since 1994. He also anchors and writes The Osgood File, his daily news commentary broadcast on the CBS Radio Network. Osgood’s commentaries draw one of the largest audiences of any network radio feature. He was called “one of the last great broadcast writers” by his Sunday Morning predecessor, Charles Kuralt.